On the top of one of Ulsanbawi's peaks viewing another peak! 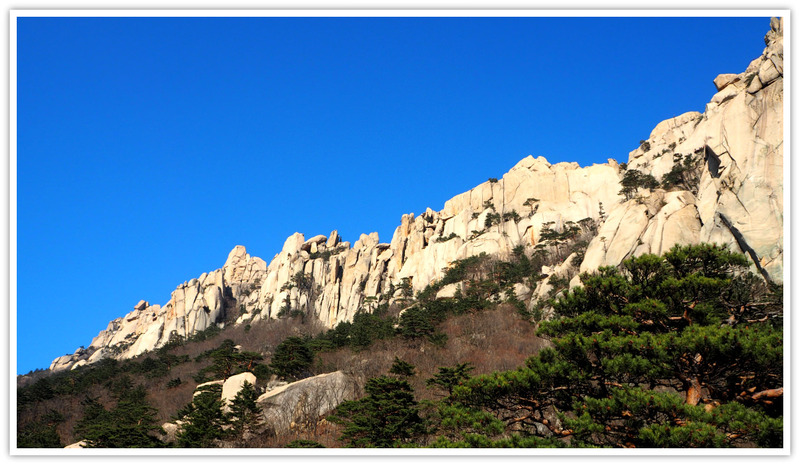 Ulsanbawi Rock Mountain is so far one of the more attractive and interesting rock formations I have ever seen (and climb) in South Korea. Yes, honestly it is my personal confession, but it could be different, of course, from yours. This article briefly describes that fantastic experience and about this particular natural site in case you wish to hike and put it into your bucket list. I won’t doubt nor hesitate to recommend this rocky mountain if you are in the country, or meditating to come! 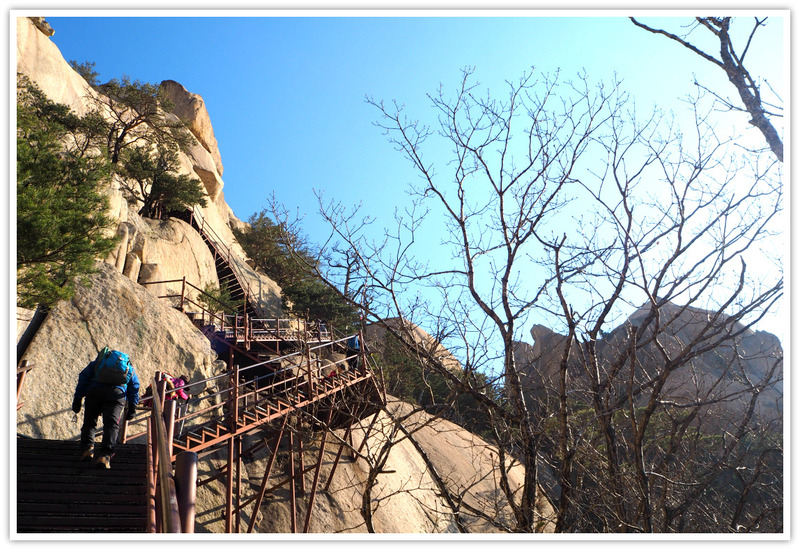 Getting to the top of Ulsanbawi is not difficult for those who are used to climbing stairs or steps. That is because this rocky mountain has been made easier to hike and climb by installing the metal steps from its base to the top. It means that anybody who is physically fit can climb up. That is if you are willing to ascend the over 800 steps! Locals say it has 888 steps, to be exact. Over 800 steps to the summit! Yes, that’s right, and it was quite demanding to my legs. 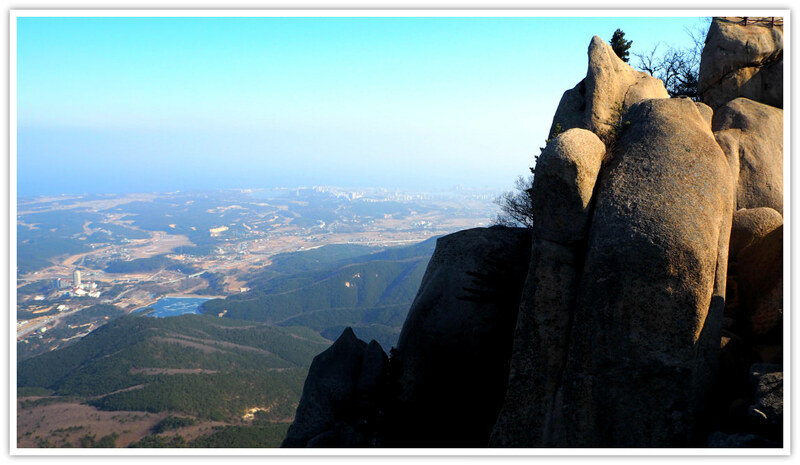 However, as you ascend you are rewarded with fantastic views of Seoraksan Mountain from your vantage point. 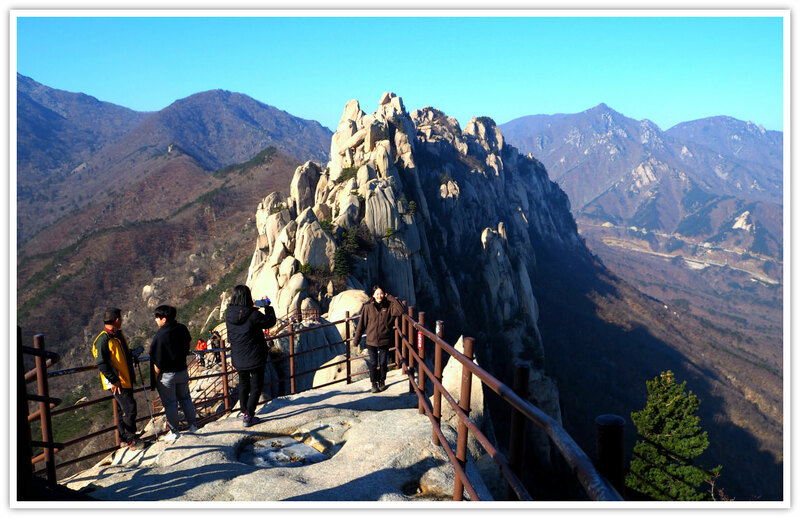 It takes around two hours to get to the top from the entrance area of Seoraksan National Park. The first one is that the name implies that the mountain looks like a fence—which could be an initial impression I got by looking at it in the distance (photo). The second story, or maybe a more logical explanation, is that Ulsanbawi means ‘wailing rock mountain’ in Chinese characters. The wailing sound is created when there are heavy rain and thunderstorm, or when strong winds blow against it and reverberate like a wailing sound. The third story is the one I like most . It is a legend. 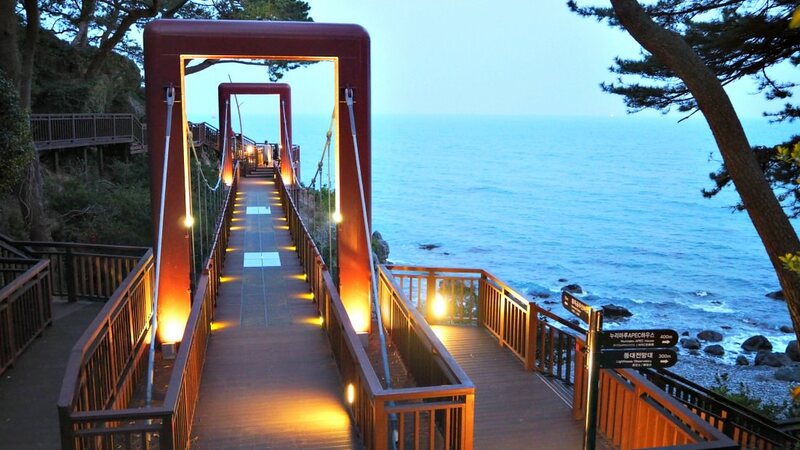 The legend says that Ulsanbawi came from Ulsan City in the southeast of South Korea. How it came there? You may find it on this article. 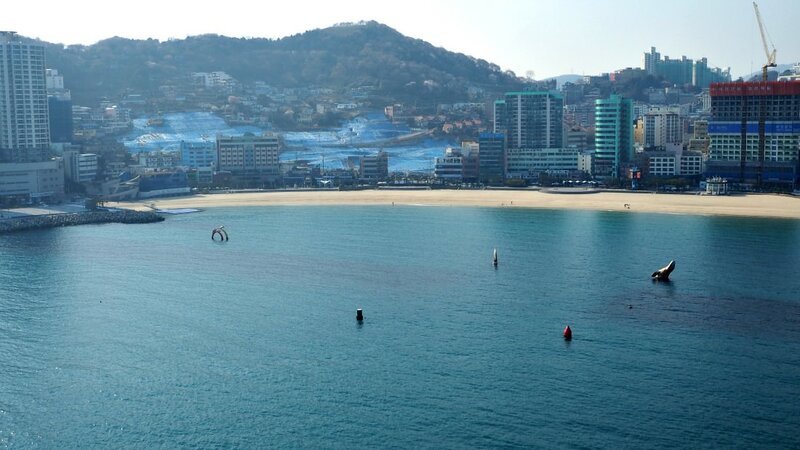 That article also describes most of the information you need to know about Seoraksan National Park, interesting sites, facilities, fees (entrance and cable car), among others. Grateful that you found this page! Hope you have exciting and memorable travel.